On January 22, the Estonian parliament Riigikogu voted down the bill for closing fur farms with a 5-year transition period with 28 votes; 25 members voted against it. NGO Loomus, the animal advocacy organisation leading the campaign against fur farming in Estonia, admits that the outcome was predictable this time, but rejoices that the number of parliament members, who are against fur farming, has grown and that there was merely a difference of 3 votes. Loomus promises that the bill will definitely be among the first bills to reach the newly elected parliament in March. “There are more and more members at the Estonian parliament, who understand that banning fur farms is the only solution for protecting the welfare of the animals, the environment and the people. A similar trend can be seen in the entire society, in Estonia and the rest of the world. That is why I can assure that the topic of banning fur farms will not disappear, but become ever stronger,” said Kadri Taperson, the manager of Loomus. Taperson says that preparations for the resubmission of the bill are already underway, and that the election radar questions are ready for the parliamentary candidates. “Regardless of what the next parliament will be like, it will be quite easy to re-initiate a voting. It will probably take just a few days to collect the 1000 digital signatures required for an official collective proposal, because people are used to attending demonstrations to support animals, media is open to discuss an important topic like this; and the only ones, who are not yet ready for this decision, are half of the Members of the Riigikogu, the fur farmers themselves and their supporters who are holding on to old traditions,” added Taperson. 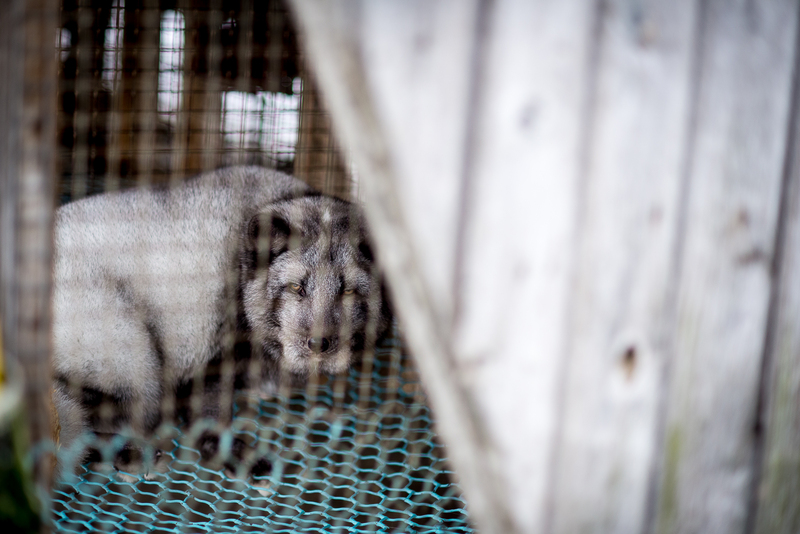 According to the survey conducted by Kantar Emor, 69% of the Estonian population does not support raising and killing animals on farms to produce fur. The international petition to ban fur farms in Estonia has been signed by more than 50 500 people (https://www.change.org/p/parliament-of-estonia-end-fur-farming-in-estonia). Fur farms are banned in England, Northern-Ireland, Austria, Belgium, Czech Republic, Croatia, the Netherlands, Serbia, Macedonia, Brazil, Bosnia and Herzegovina, Slovenia, German regions Bavaria, Hesse, Nordrhein-Westfalen and Schleswig-Holstein, partially in Switzerland, Denmark, Sweden, New Zealand, the USA. Bans are currently discussed in Ireland, Lithuania and Poland. NGO Loomus protects the interests and rights of animals and represents animal interests in public discussions. Loomus stands mainly for animals used in agriculture, animal testing, entertainment business and fur farming.